TOKYO, January 8, 2016— Ricoh Company, Ltd. today announced that the company has reached an agreement to buy AnaJet, the leader in direct to garment (DTG) printing. 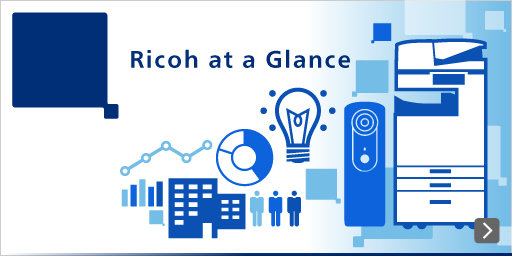 This acquisition is the latest strategic investment by Ricoh to strengthen its industrial inkjet business while enabling its customers to move forward new ideas and drive imaginative thinking. Located in the U.S., AnaJet will become a wholly owned subsidiary of Ricoh Printing Systems America, Inc. Founded in 2006, AnaJet was one of the first companies in the world to mass produce DTG printers. Today, the company is a global market leader in the DTG industry. The majority of AnaJet products available today leverage Ricoh's market-leading inkjet printheads. Ricoh's experience has focused on office and commercial print technologies. The addition of the AnaJet portfolio will help Ricoh further its position in the industrial inkjet market, a market where Ricoh maintains global leadership in inkjet printhead development. With AnaJet's solutions combined with the broad Ricoh portfolio, customers will now have the ability to more effectively deliver a broader solution set to their end users.